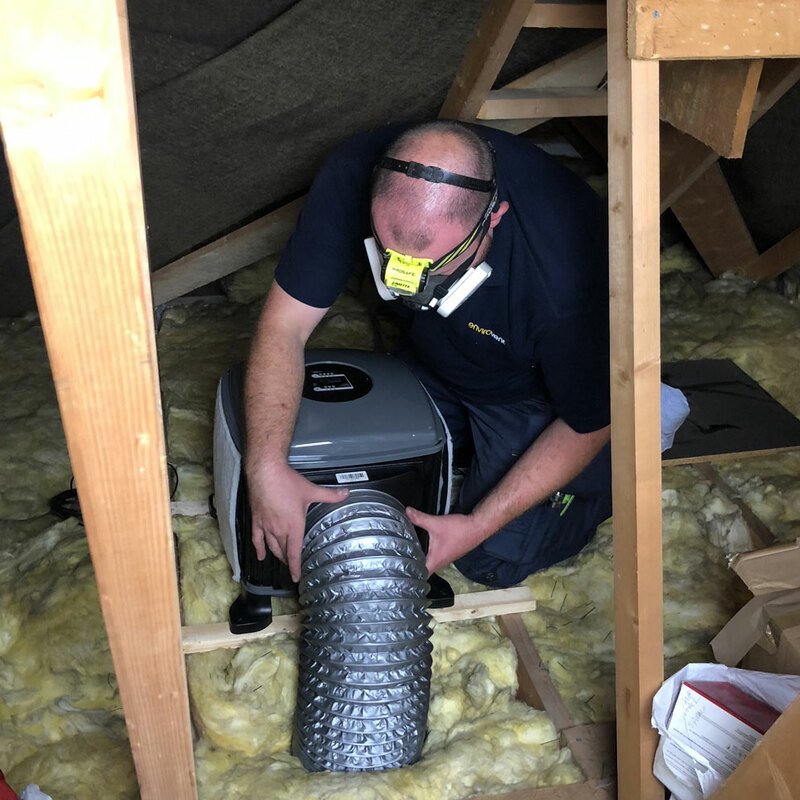 Residents of the Treseifion estate in Holyhead who live in properties owned by the Isle of Anglesey County Council will be the first to benefit from the new ATMOS® PIV (Positive Input Ventilation) systems from EnviroVent. Isle of Anglesey County Council has committed to 60 EnviroVent units on this scheme, including 35 ATMOS® loft mounted units and 25 wall mounted ventilation units, as part of the refurbishment of a number of its properties. The ventilation installations will be completed along with other upgrades to the properties which includes external wall insulation and render, replacement roof coverings, new windows and doors plus external works such as replacement paths and fencing. Not only are the units utilised on this particular planned scheme they will also be installed on responsive maintenance works and integrated also into the Council’s void properties on behalf of Isle of Anglesey County Council’s Housing Maintenance Unit. Isle of Anglesey County Council have installed EnviroVent’s Filterless Infinity Fans and its PIV units for over five years now on a number of properties within their housing stock of approximately 3,800 dwellings that consist of traditionally and non traditionally built houses, bungalows and flats. ATMOS® by EnviroVent is the first smart range of PIV solutions with five different units available designed to improve indoor air quality and eradicate the problem of condensation and mould growth in all types and sizes of homes. All the loft-mounted products within the ATMOS® range come with a 10 year warranty, which includes any necessary repair or replacements being installed completely free of charge. ATMOS® has great connectivity as it features the new myenvirovent app, which is the first app of its kind that gives the homeowner complete control of their ventilation system at the touch of a button. The app, accessed via most smartphones, can be used to adjust boost functionality, airflow, heater and monitor filter performance. Another option with the ATMOS® unit is the facility to link to the AirSens® range of air quality sensors. AirSens® is available in three different versions to enable the occupant to monitor Carbon Dioxide levels, Volatile Organic Compounds (VOCs) or relative humidity. When AirSens® detects an increase in these levels, Atmos® reacts automatically by instantly supplying more fresh air into the property to maintain a healthy environment thus creating an improved level of air quality. For any social housing provider interested in ATMOS®, EnviroVent has its own specialist team who will survey, recommend and then install the product into an existing or new property. 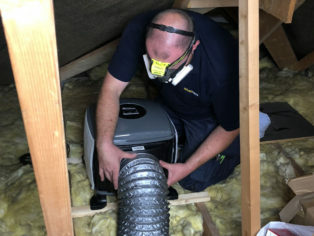 Residents of the Isle of Anglesey County Council properties which are upgraded to the ATMOS® ventilation units will receive energy efficiency benefits too as it enables the warmer air at ceiling level to be gently redistributed to heat the home. This can lead to a saving of around 10 per cent of a home’s annual heating costs. EnviroVent offers a full range of ventilation solutions to the new build and refurbishment sectors. Its award-winning products are UK manufactured and can be installed by EnviroVent’s own dedicated team of nationwide installation engineers, who also provide after-sales support.